The Minister noted that he will take particular interest in his Department for Northern Ireland and the implications of Brexit. 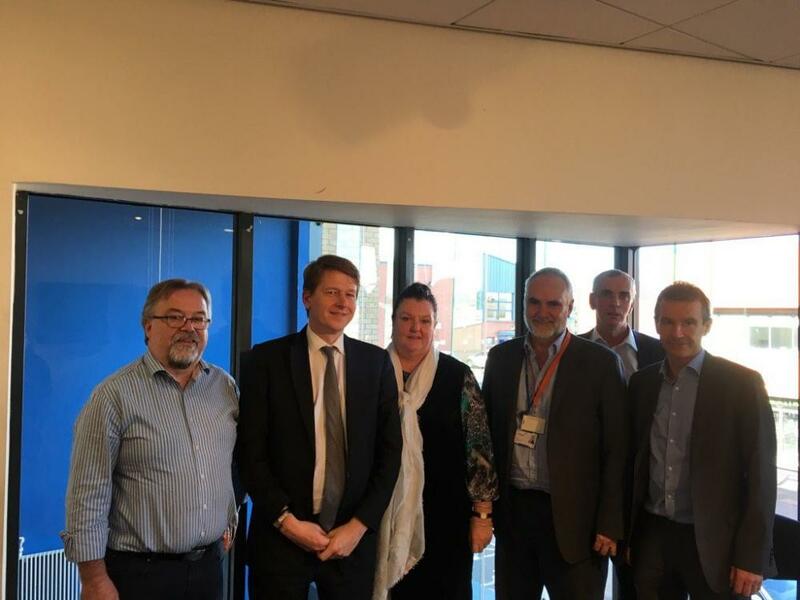 The NICVA Executive Committee delegation discussed the economy, structural funds, the common travel area, the border, tariffs and free movement with Mr Walker. On Structural Funds the Minister confirmed the Chancellor’s announcement of the government’s guarantee being extended to all funds committed before the UK leaves the EU. This should now remove any pressure or doubt on Peace IV and ESF, some of which are accessed by voluntary and community organisations. Mr Walker also confirmed the government’s commitment to working with the Irish Government and the Stormont Executive to continue the common travel area and ensure no hard border in Ireland. NICVA suggested to the Minister there was a special case to be made for Northern Ireland in the complex negotiations ahead with the EU given the Peace Process and the Good Friday Agreement and the land border with the Republic of Ireland.